When we refer to “a man and his toys”, we usually are talking about something that makes noise and has wheels, something he enjoys doing in his recreational time. For a farmer, his “toys” are usually very crucial to his trade, something he can’t do without, namely his tractors. I am not sure anything defines a farmer quite like his tractors. 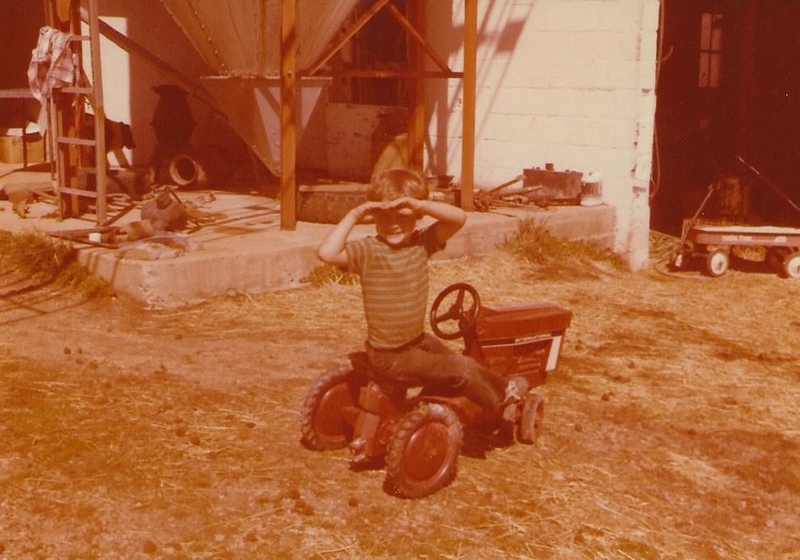 Most farmers pretended to farm with their toy tractors when they were young, imitating their dads (and moms). They in turn gave their children toy tractors and equipment for Christmas and birthday gifts. 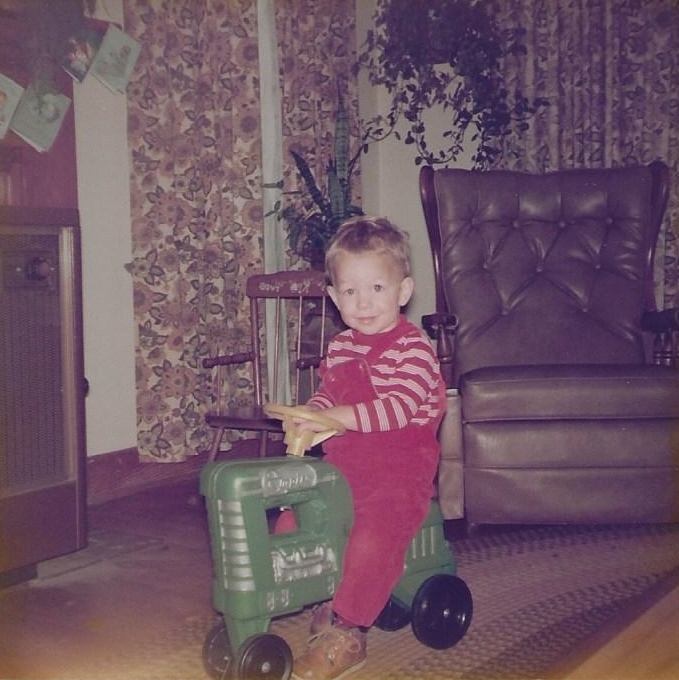 This was probably the only green toy tractor that our son ever had. 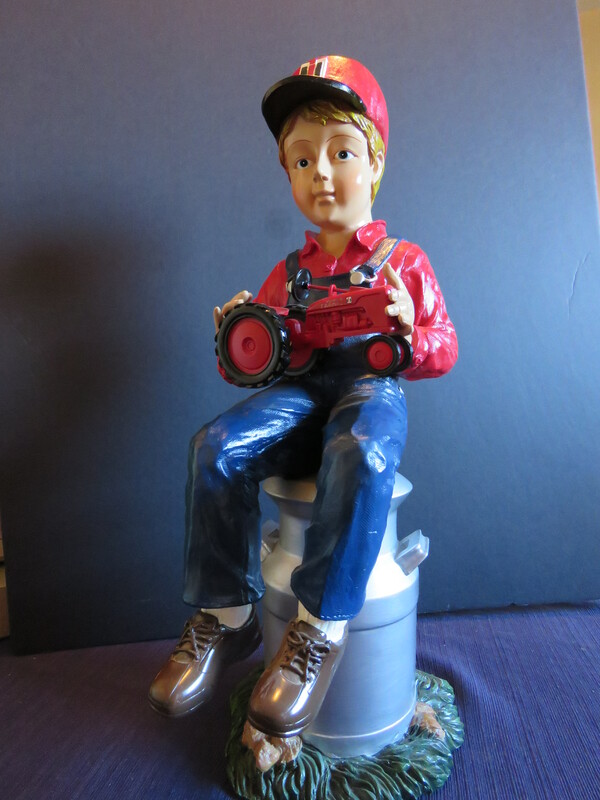 His grandma Hertzler gave it to him for Christmas one year. She wanted a red one but they had sold out. 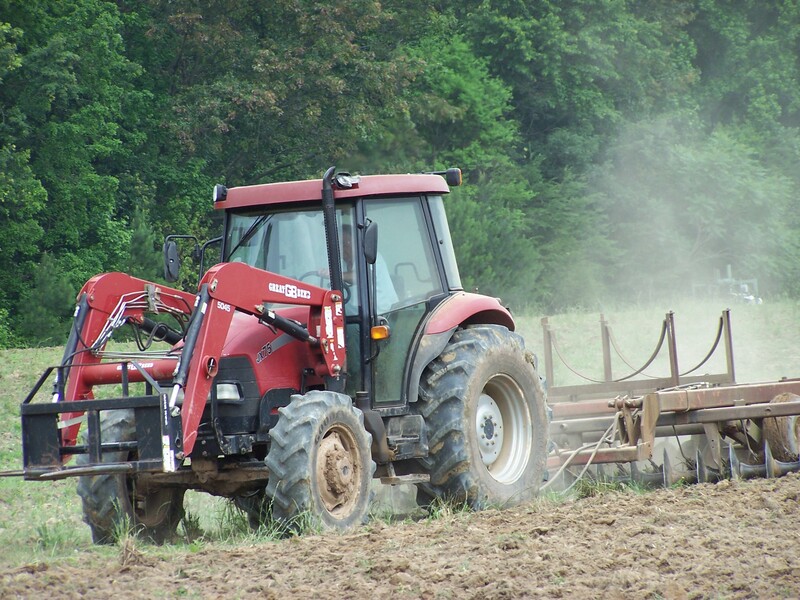 Farmers spend hours and hours and hours behind the wheel of their tractor. Now let me explain…… a tractor is not just a tractor to a farmer. Oh no. “Some like them red, some like them green and some like any color in between”. A Case/IH man like my hubby, wouldn’t be caught owning a John Deere. 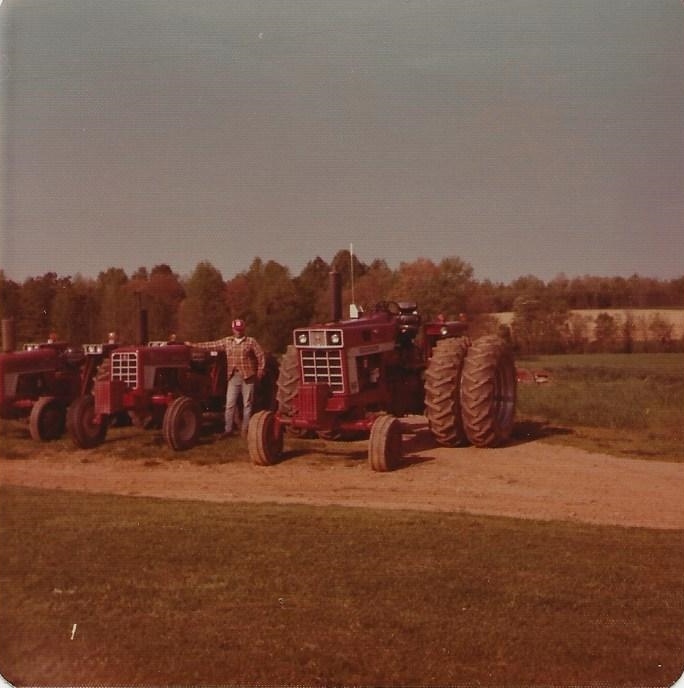 Some of his tractors earned names such as “Big Red”, “Queen”, “Princess”and “King”. Tractors have specific jobs. In a pinch, when one is down for maintenance, they can cross over but the tractor that does the baling has monitors installed for baling in the summer and runs the vertical feed mixer in the winter. The front-end loader tractor has a bracket on the front for the scoop. There is one tractor that always does the raking, or scraping or feeding hay. I remember how pleased I was when we were dating and learned Gene was an IH man. So was my dad, and I knew he would fit right into my International farming family without being the blunt of much teasing. 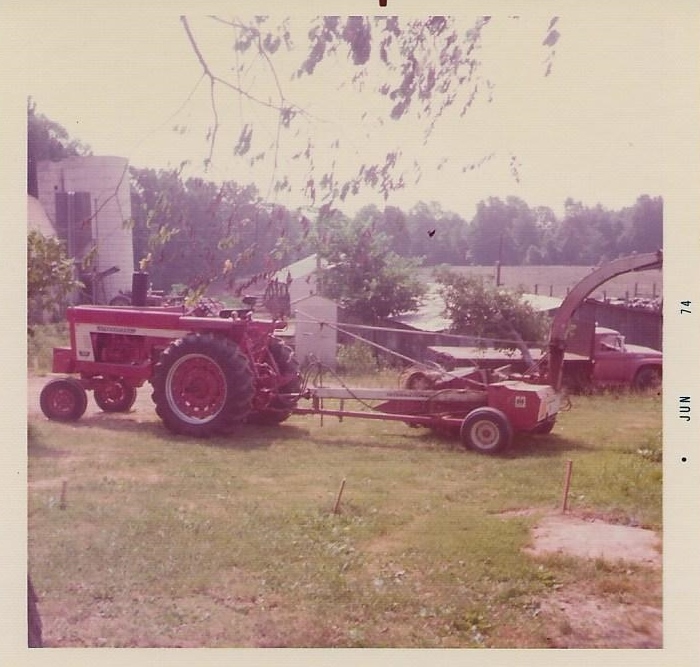 When the Hertzlers moved the farming operation from Denbigh to Powhatan in 1969 they were still using the old Farmall M tractor. But they discovered things were different in Powhatan. 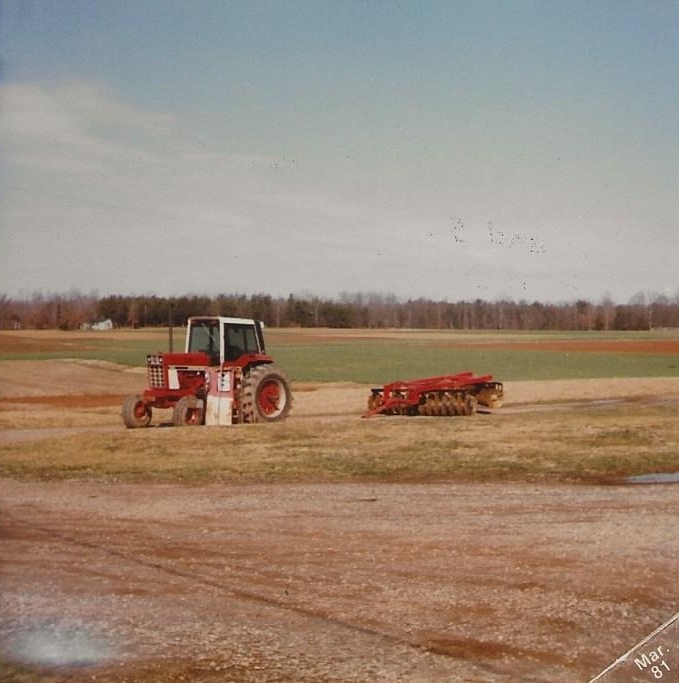 The farm was bigger and the soil was hard red clay instead of a loamy, sandy black. Fast forward to September 2014….. 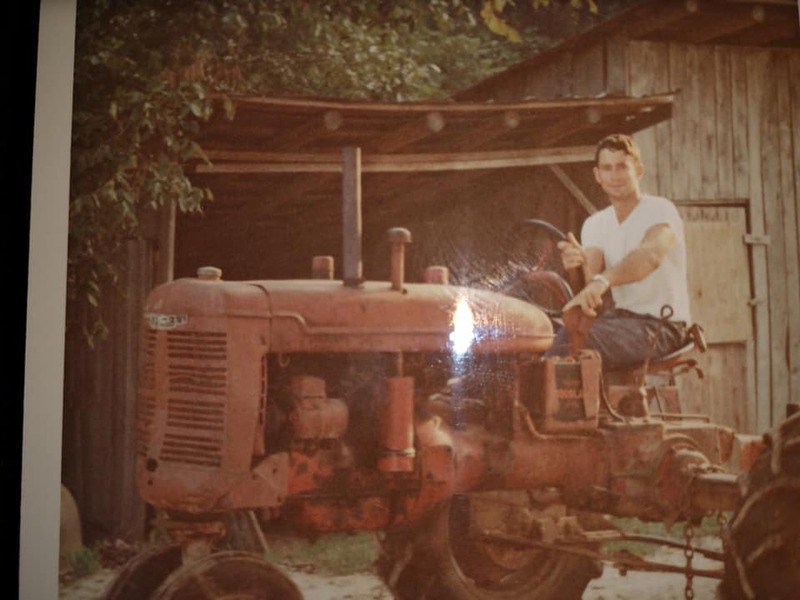 This is Gene on one of his dad’s tractor’s at his estate sale. 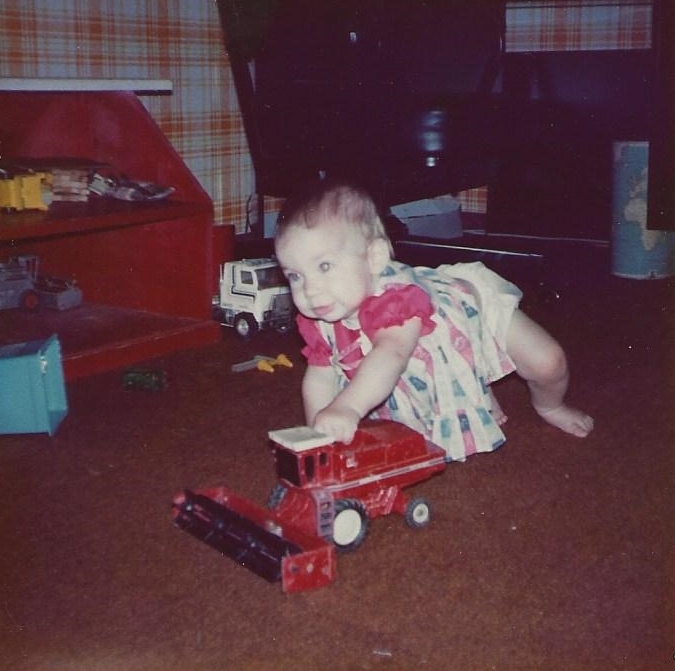 The 70’s also brought rapid changes in the technology of tractors and equipment. The old was quickly being laid aside for newer, bigger, better and faster equipment. 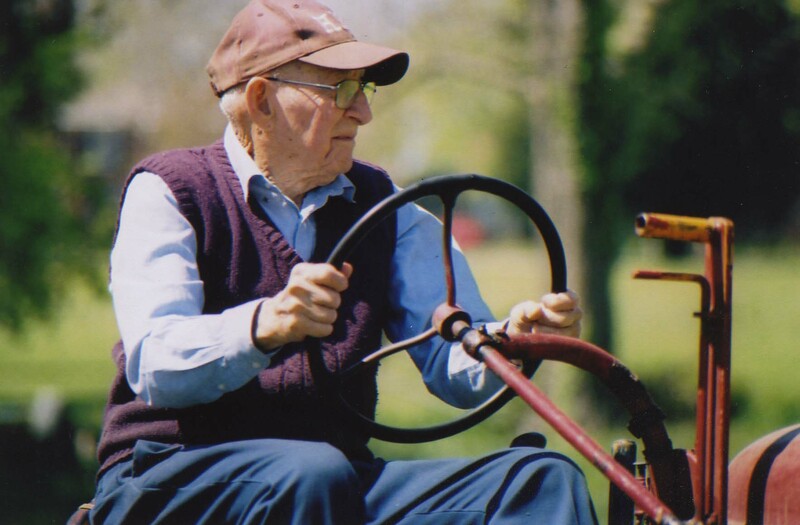 The first tractor Gene bought was a used Oliver 1800 tractor. It was his start into upgrading his tractor needs. 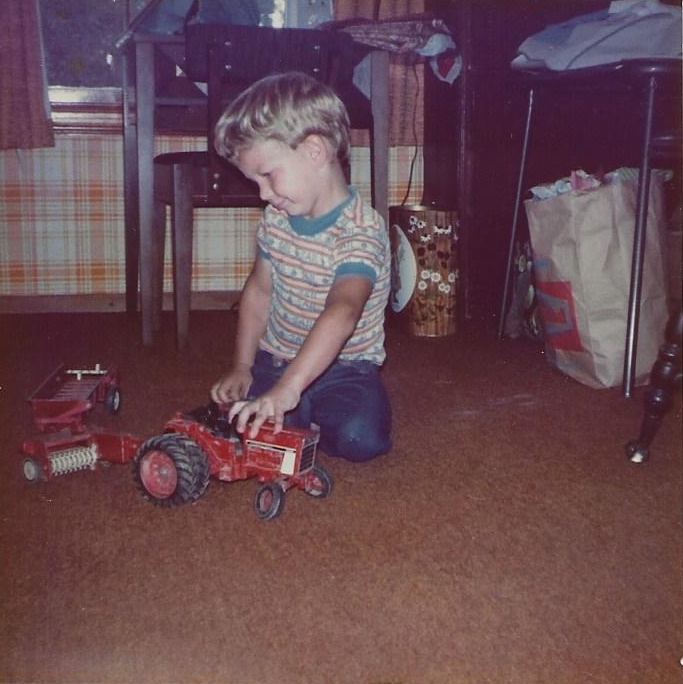 Besides a blue Landtrac later on, they are the only tractors he has owned that weren’t red. 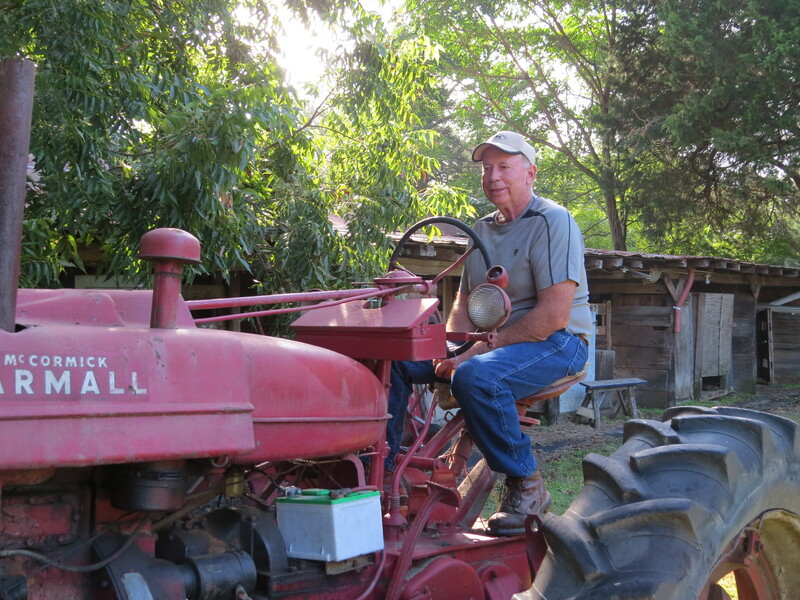 In the early years of our marriage, especially the late 70’s and 80’s, Powhatan was a bustling farming community and there were quite a few farmers in our church. There was a significant group of young couples our age who were taking over the family farms or venturing out on their own and they were all John Deere guys, except for Gene. He was the lone red ranger among his peers. I remember the friendly, fun competition among the guys as they talked about their tractors, compared who was buying what and competing in tractor pulls. I remember our children loved to ride with their daddy on the tractor and he would take them when he felt it was appropriate. It was much safer when he had tractors with a cab. 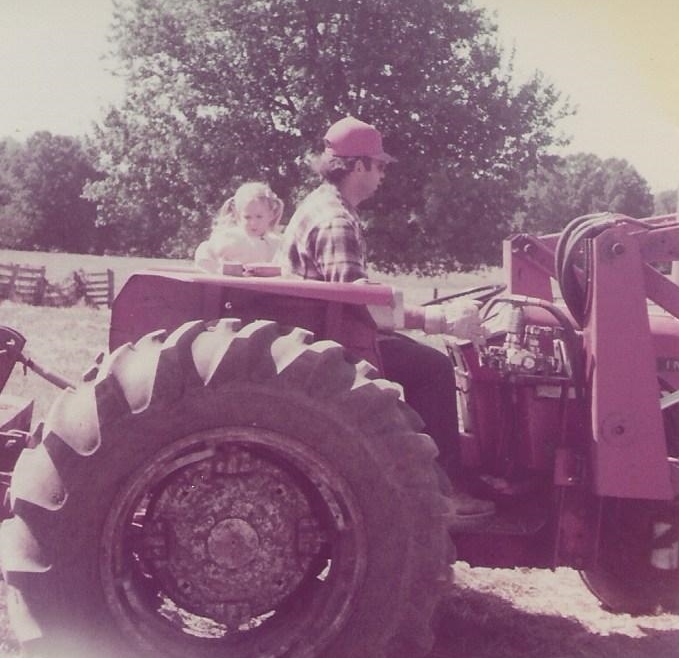 Jill riding with her daddy on the tractor. Keith wanting to be a big boy like his daddy. He figured out by sitting on the edge of the seat he could stretch his feet and touch the pedals. He had watched his daddy and he knew what you were suppose to do. I remember when we got a new phone number and the last four digits were 4021. John Deere had just come out with the 4020 series. One of our close friends, a die-hard John Deere fan loved to tease us about our phone number. He was sure we were close to converting! At least he had no trouble remembering our number. 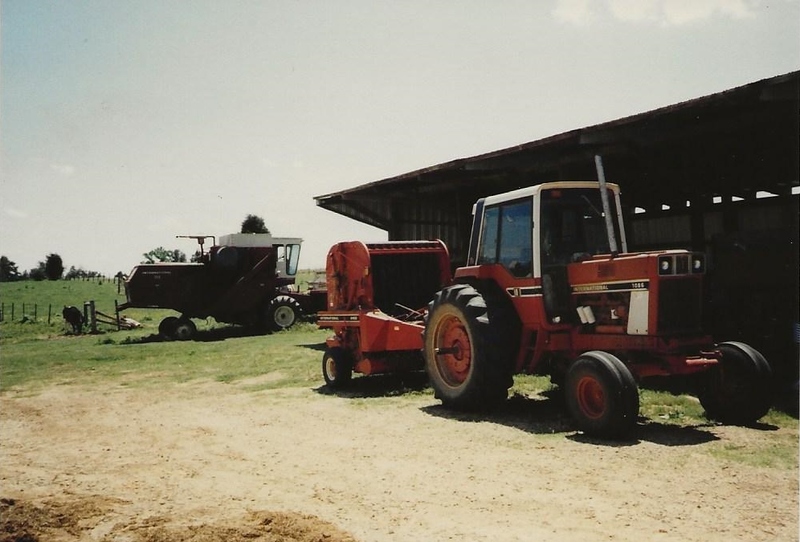 It is fun to look back at old pictures and see the progression through the years as tractor changed from the Farmalls and Putt-Putts to real workhorses with cabs, air-conditioning, state-of-the-art computer monitors and increased horse power. For the farmer his tractor is not a toy, but his work horse, vital to sustaining his business. There have been other tractors through the years and I am fairly sure I have taken pictures of all his tractors even though I was not able to find them. 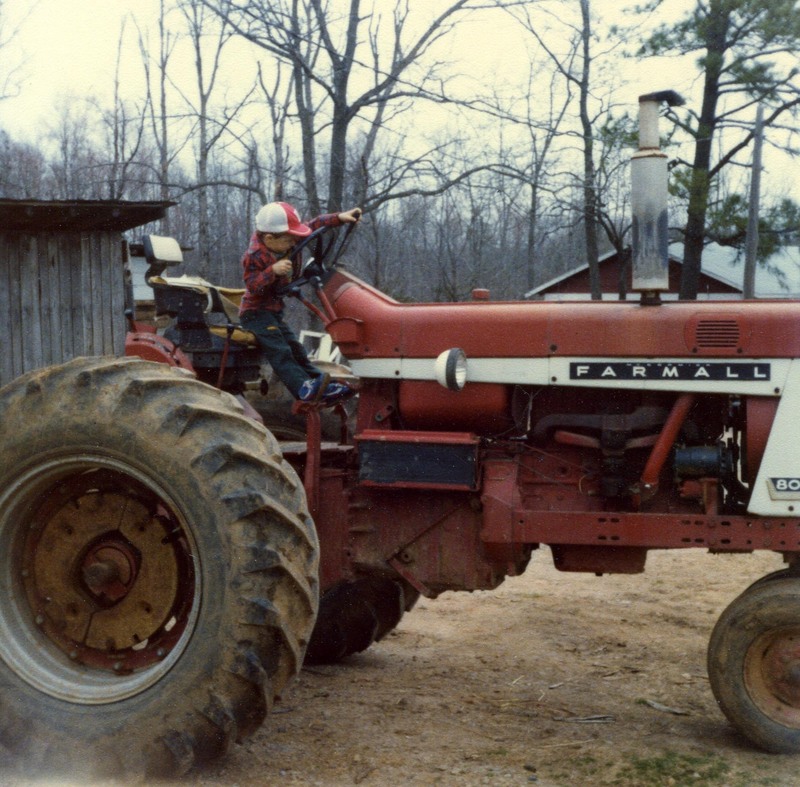 This final picture is one of Gene’s dad on his old tractor-of course it is an IH.